We Got Bannock! 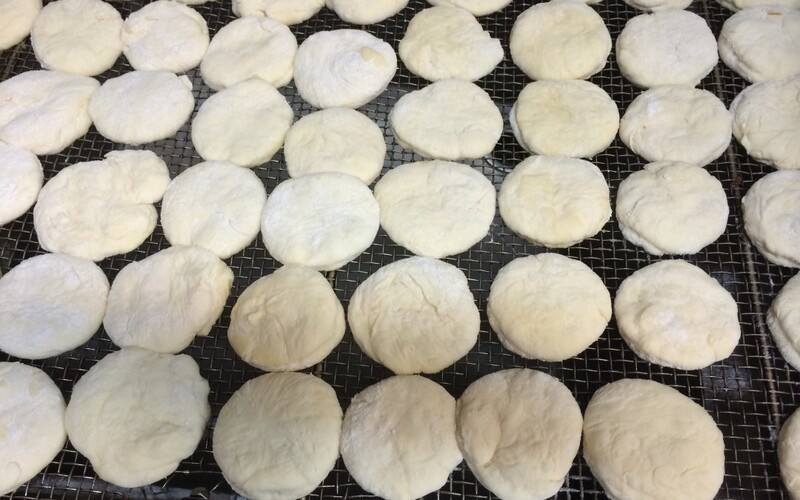 Experience Kekuli Cafe’s fresh, warm buttered Bannock. Or our original flavours of Skor, Saskatoon Berry, Maple Glaze, they’re sort of like a doughnut, the texture is light, fluffy, crispy on the outside but yet soft, and tender, actually handmade fresh every single day. Baked and Fried in-house. Best survival bread ever created in the millennium. When did you ever have your first piece of fry bread? We mix the Bannock, Stir the Bannock, We fry the bannock! When I started Kekuli Cafe, working on my business plan, for almost three years, we couldn’t find any First Nations restaurants, back in the 2000’s. So Kekuli Cafe has been in the making for many years. We found our way and Kekuli Cafe is growing every year! Kekuli Cafe is now ready to Franchise across Canada. Kekuli means “pit house”, a First Nations winter dwelling. The name Kekuli was the perfect name to share with the world, meaning house, welcome to my home! Your place to gather with friends, family, food and fun! Here is a link from CBC Aboriginal, so many bannock choices, check it out! We now have counted almost 20 restaurants across Canada serving Indigenous Cuisine! The most exciting thing since sliced bread!